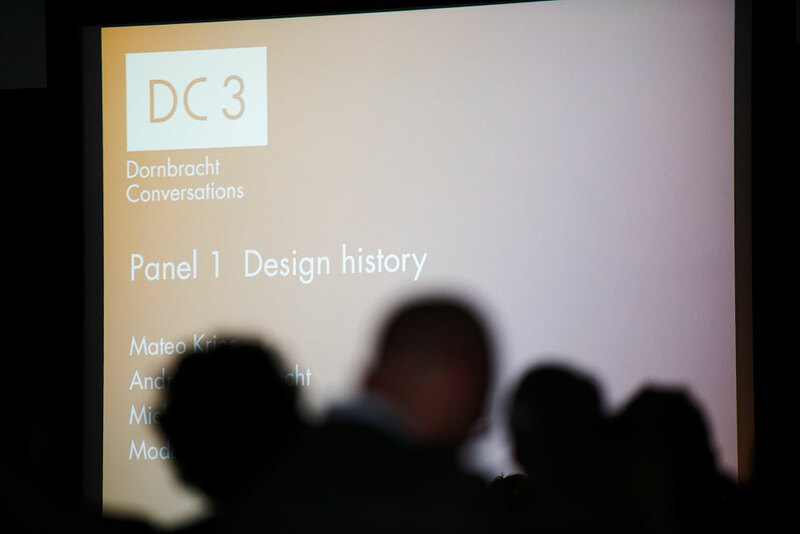 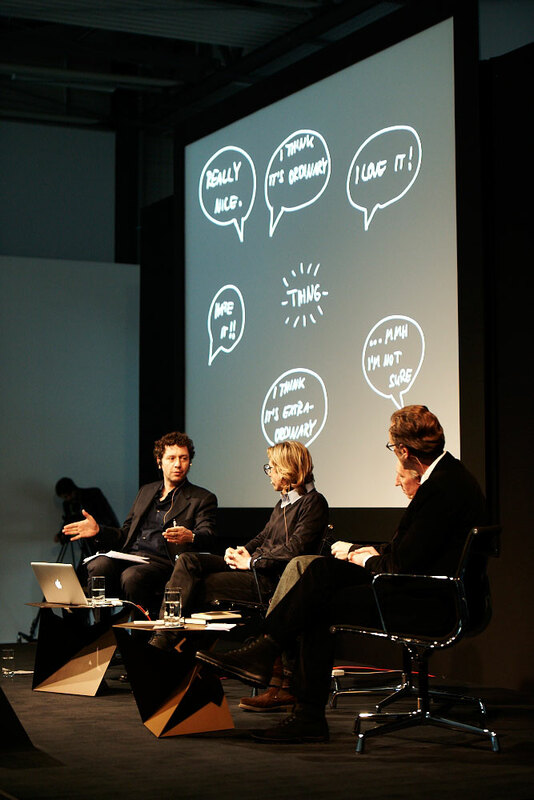 Visualization panel discussion Dornbracht Conversations 03. 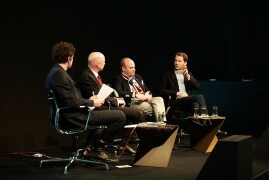 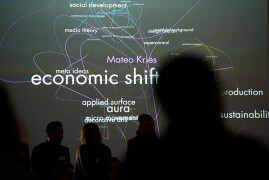 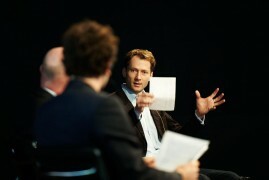 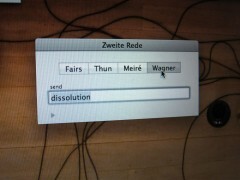 By entering keywords at runtime a mood image of the panel discussion is generated. 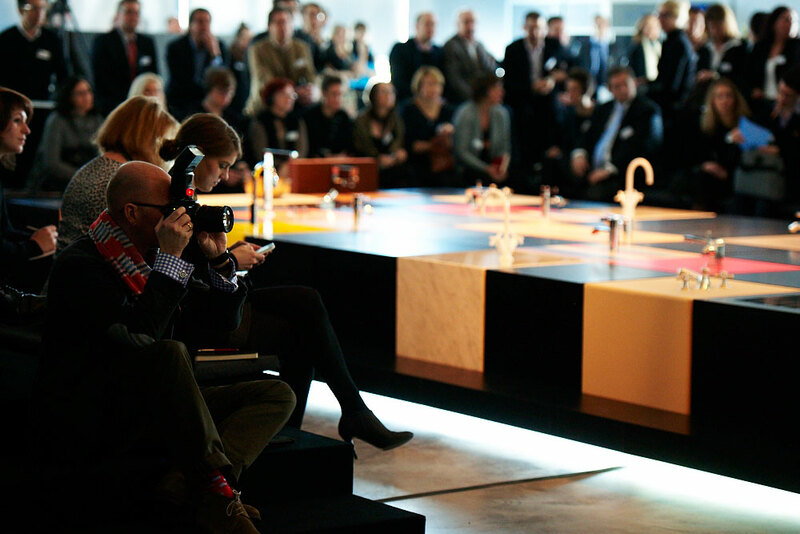 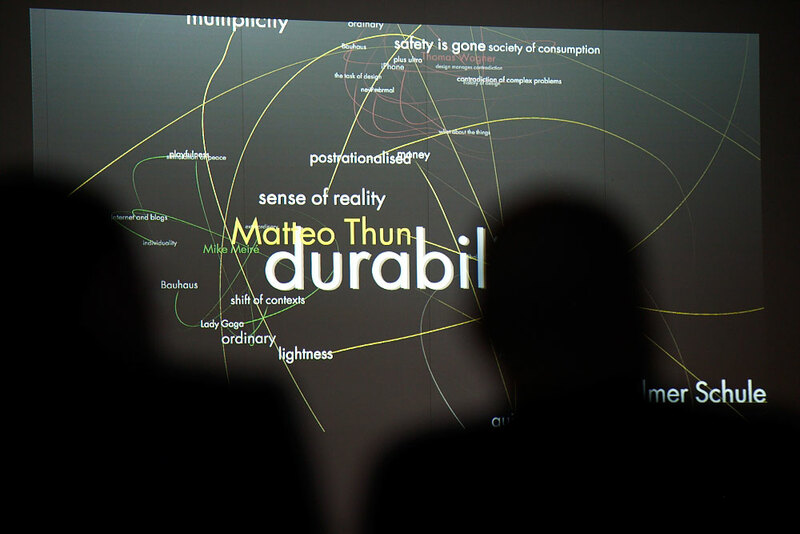 The system is based on physical dynamics between speaker and its keywords in 3D space. 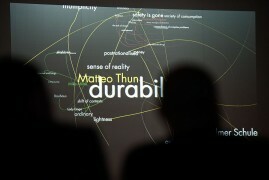 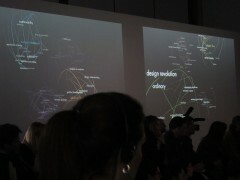 The weighting of individual words and relations is visualized on its orbit around the respective speaker.